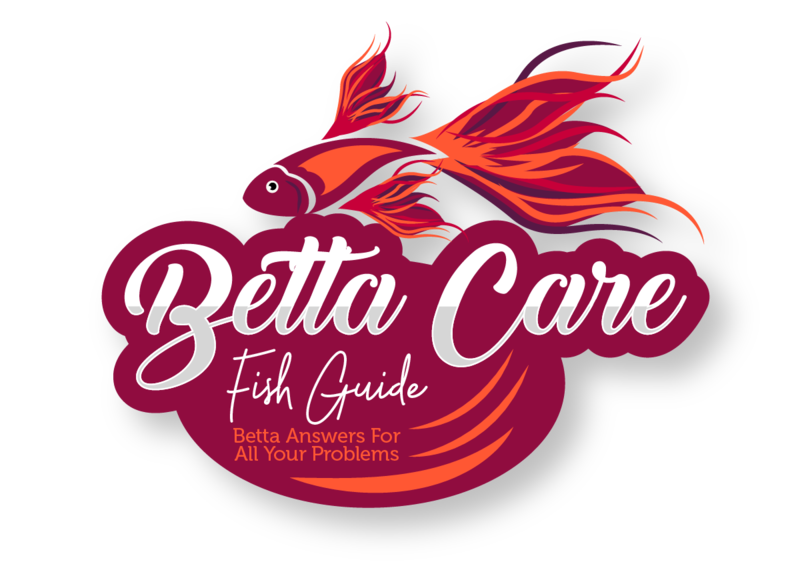 You may think that once you know the right betta ich treatment that you’re going to be able to save your betta. However, there’s so much more to know. Such as how to prevent ich happening again, what causes it, and how contagious it is. If you keep reading you’re going to learn all that and much more. Not only that, you’re going to have the knowledge necessary to make informed decisions and keep any fish you have alive and healthy! 3 Can Ich Be Cured? 11 How Contagious Is Ich? 12 Can Ich Kill Bettas? 13 Can Humans Catch Ich? Ick or ich is an external parasite that latches onto fish. Its scientific name is Ichthyophthirius multifiliis. And as you can see by the name it’s much easier to call it ich! Ick is also referred to as white spot disease, so if you ever hear any of these phrases being used then you know they are all the same disease. The most common tell-tale symptom of ick is white spots appearing on your betta. Sometimes these white spots occur only on the body, and other times they’ll be on the body and fins. If the spots are small they may look more like white dust. However, this is still ich and you should treat it as such. If you notice that the “dust” is gold or yellow, then your betta is suffering from velvet. A parasite that if left untreated will become fatal to your betta. If you think it’s velvet that your betta is suffering from then check out this article which will give you all the information necessary to save your betta. Loss of appetite and lethargy. When your fish gets ill these are two of the most common signs you can expect to see. While they are not limited to ich they are a clear indicator that something is wrong with your betta. Bettas are solitary fish, but you may also notice your betta being a lot more reclusive. He may do everything he can to avoid other fish and he’ll find places to hide. He’s doing this because his weakening immune system is making him feel threatened. He may also clamp his fins. This is a very common sign in sick fish and it’s caused by excessive stress. The final symptom of ich/ick will be distressed breathing. Ich normally affects the gills of bettas and if left untreated it will cause respiratory failure and eventually death. Do None Of These Symptoms Match What Your Betta Has? If none of these symptoms match the symptoms your betta has then it is suffering from something else. Check out some of these articles to help diagnose your betta correctly. Dropsy In Bettas – One of the most dangerous illnesses a betta can get. Dropsy is hard to spot and hard to treat. If your betta is pineconing and bloated it may be too late. But here’s the best way to keep your betta alive if they’re still fighting. Fin Rot In Bettas – Caused by parasites and bacteria, betta fin rot is treatable when caught early enough. If you notice your bettas tail and fins rotting then read this article to find out what to do. 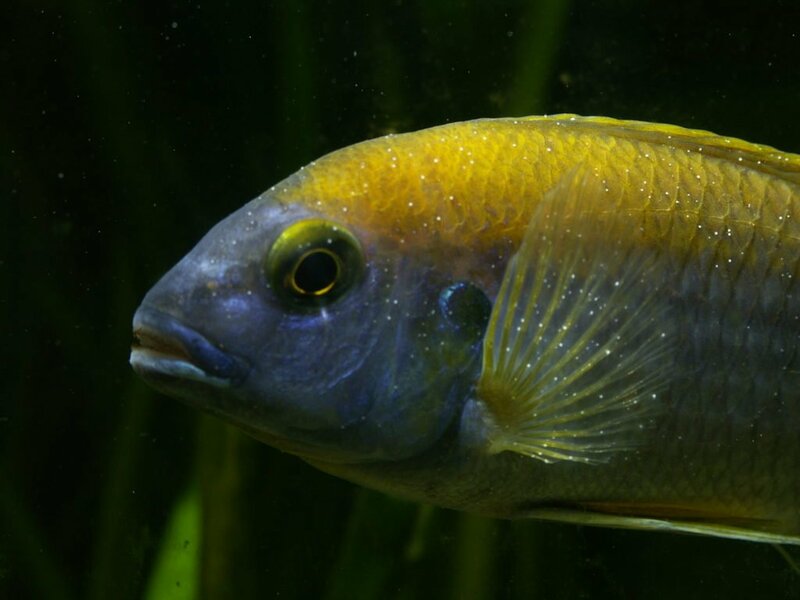 Velvet In Bettas – If you notice “dust” that is gold or yellow, then your betta is suffering from velvet. A parasite that if left untreated will become fatal to your betta. If you think it’s velvet that your betta is suffering from then check out this article which will give you all the information necessary to save your betta. The good news is that when caught early enough ich can be cured. And not only can it be cured it’s one of the easier illnesses to treat. If you notice your betta has ich, you don’t need to panic. As long as you take the appropriate action to treat it, your betta will make a full recovery. Before you learn how to treat ich it’s important to know what causes it. It’s a common belief that the parasite that causes white spot disease in your betta is present in almost every large aquarium. And because it’s so common most fish actually have a natural immunity to it. So the problem isn’t the parasite itself. If your fish is in good condition their immune system will be able to fight ich off. Rather the biggest cause of ich is actually stress. Because when a fish is stressed their immune response is longer. So instead of asking what the main causes of ich are, you should be asking what the main causes of stress are. A common cause of stress is a change in the environment. If you’ve just bought your betta or changed the tank then this will increase a bettas stress. Because the water parameters have change and your betta needs time to adjust. On the subject of water, a change in temperature, pH, and quality can all cause stress in your betta. If your betta is housed with other tank mates then depending on the type he may become stressed. Some fish don’t coexist well with bettas and it’s important to remember this. If you notice your betta has ragged fins or damage on his body this could be because other fish are nipping him. If you notice your betta flaring all the time you should remove anything from the tank that you believe is causing this. Sometimes if your aquariums light is too bright your betta will see his reflection and flare up. There are a number of different ways you can treat ich in your betta. And what you choose really depends on the severity of ich. I would recommend betta ich treatment be carried out in a quarantine tank rather than your main tank. That way you’re not going to change the parameters of your tank. If you don’t know how to set up a quarantine tank then check out this handy guide showing you how. Ich can only survive when it has a host to live off. If you want to remove ich from your tank then you should take away it’s only means of survival. If you keep your tank fish free for a week, all traces of ich will die. This method is the best method to use if your betta is isolated and you have a quarantine tank you can use. Progressively begin raising the temperature in your tank. I wouldn’t recommend raising it more than 1°F every day. Although it’s not uncommon for people to raise it by 2°F. At 86°F the life cycle of ich is going to speed up. Meaning if the parasite doesn’t find a host fast it’s not going to survive. Whilst raising the temperature of your tank you should also begin adding salt. High salinity causes your aquarium to become unhospitable to ich. And the aquarium salt is also going to improve your bettas slime coat (It’s natural defense against parasites like ich). Dissolve 1 teaspoon of aquarium salt into a small amount of aquarium water, before adding the water back into your tank. You should dissolve 1 teaspoon per gallon. However, if the salt you use has different instructions then follow them. You should perform 25% water changes every couple of days. Making sure to replace any salt lost. After 10 days perform water changes as normal but stop adding salt. Do this until your tank is salt-free again. If you notice that it’s only your betta that has gotten sick then you should use a quarantine tank instead of your main tank. However, if more than one fish have ich then perform this method in your aquarium. Another choice is to medicate your betta. If you plan on medicating your betta you should use medication that has either methylene blue or malachite green in it. The medicine I use is Rid Ich Plus. It’s tailored specifically for treating ich in aquariums so it won’t be as potent as pure malachite green. If you plan on using it then all you have to do is follow the instructions on the bottle. And make sure you use a quarantine tank instead of dosing your main tank. When you know the life cycle of ich you get a better understanding of why you need to treat the water and not your fish. There are four main stages of life. Stage 1: The ich is in its trophozoite phase. Trophozoites mature in your bettas skin until they are ready to leave. Whilst maturing a cyst will form. This is the bettas way of limiting the amount of damage the trophozoite can do by walling it off. Stage 2: Once the trophozoites have matured enough they become trophonts. Once this happens they leave the fish and float to the bottom of the tank, where they will begin producing hundreds of trophites. Stage 3: The trophites float in the water and eventually burst, releasing tomites. Stage 4: Once the tomites are released they will penetrate the skin of your fish again and the cycle will repeat. The reason it’s important to know this is because it gives clarity on why you can only treat the water and not your fish. You see when your bettas immune system creates a cyst to stop the parasite infecting him, it also stops any medication getting in. So you can only treat the water. And the reason you want to increase the temperature is that it’s going to speed up the rate at which tomites need to find a new host. Typically a tomite needs 8 hours to find a host but if you heat the water up that time gets cut. However, be aware if the waters too cold that time could increase. The real way to treat ich in bettas isn’t through medication but prevention. Instead of treating ich as and when it happens you should always be vigilant to make sure you can stop ich happening before it starts. Preventing ich isn’t difficult. In fact, it’s just a part of good aquarium keeping. When you learn how to prevent ich, you’ll also learn to prevent a whole range of diseases. You should always place any new fish in a quarantine tank first. This way you’re going to be able to monitor them and if you notice an illness you can treat them accordingly. Setting up a quarantine tank isn’t hard and if you don’t know how then go here. On the subject of buying new fish, you should NEVER buy a fish that doesn’t look healthy and I’d also recommend avoiding any fish that are in the same tank as a dead or diseased fish. These are clear indicators that there is something wrong with a fish or the water. Don’t risk the health of your betta for other fish. If your betta is with other fish and you notice they have ich, move that fish to a quarantine tank. Ich needs weaker fish to infect, so if you take away the only fish they can infect, eventually, the parasite will die out. On the subject of water quality, make sure you’re not overstocking your tank. As a rule of thumb, you should only have 1 fish per 1 gallon of water. However, to be on the safe side I normally have a couple of fish less than the max. This way your tank is going to be able to cope with the high bioload and it will get dissipated effectively. Make sure you’re feeding your betta a varied diet. Bettas need a highly nutritious diet of high-quality betta pellets and meat. Try not to order your fish online. Instead, buy bettas and other fish that haven’t had to travel far. Fish don’t travel well, and the more they travel the more stressed they get. Instead of ordering fish online you should buy them from your nearest aquatic center or pet shop. You may think that ich is contagious but the truth is one fish can’t pass it on to another. The only way a fish can catch ich is if it’s immune system is weak. In fact, ich is so commonplace in aquariums your betta has probably already come into contact with it multiple times. So as long as your fish are healthy the chances of ich being contagious are very low. Ich is an incredibly easy illness to treat and as long as you catch it early enough your betta has a very strong chance of survival. However, if left untreated ich can quickly build up and become fatal. So if your betta does have ich it’s not going to be fatal if you treat it quickly. But make no mistake if left it will kill your fish. A couple of times I’ve been asked whether a human can catch fish. It’s incredibly rare for a human to catch any disease a fish has. And just to clarify, you can’t catch ich. But if you are worried about catching something then bacterial infections are what you should watch out for. But that’s still incredibly rare. You now know everything you need to know to keep your betta alive. Ich is treatable and as long as you follow the instructions above your betta will make a speedy recovery. Here are some of the main points to remember about betta ich treatment. Ich is a parasite that causes white spots to appear on infected fish. As well as white spots you may also notice other symptoms such as lethargy, loss of appetite and clamped fins. To stop ich infecting your fish you have to treat the water. You can do this by adding aquarium salt, raising the temperature, removing fish, or adding strong medication. The parasite that causes ich can’t be killed when it’s infecting your betta, it can only be killed in the water. To prevent ich in bettas you have to take good care of your betta and make sure they’re not stressed. Giving them a varied diet and keeping the water parameters constant are a great place to start. Ich is easy to treat but if left it can become fatal. Ich can only affect fish that are stressed or have weakened immune systems. I hope this article will help you keep your betta alive. If you have any more questions make sure to leave them in the section below! Otherwise, have a great day!